Join UCI Law as we bring together the entire law school community, including our students, faculty, staff, alumni and community supporters for our anniversary Day of Service, Saturday, August 25, at Second Harvest Food Bank and Orange County Food Bank. Multiple shifts available. Families welcome, but please review location details for age restrictions. Please note: Participants at Second Harvest must be at least 14 years old to volunteer and accomplanied by an adult 21-years-old or older. Minors 14-17 must have a signed liability form. Closed-toed shoes required. No purses/backpacks allowed. *Volunteers must also RSVP for this event through the Second Harvest website. Please click here to complete secondary registration. Please note: OC Food Bank has no minimum age requirement for volunteers, however children must be supervised by a parent or guardian. Closed-toed shoes required. The University of California, Irvine School of Law is the culmination of several generations of revolutionary dreamers. Those not satisfied with the status quo who wanted to redefine, reimagine and reinvent legal education. 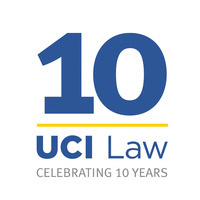 Celebrating its 10th anniversary in 2018, the University of California, Irvine School of Law begins its second decade a larger, stronger, more dynamic academic institution than its founders could have ever imagined. UCI Law provides an innovative and comprehensive curriculum, and prioritizes public service and a commitment to diversity within the legal profession. UCI Law students have completed more than 80,000 hours of pro bono work in the past decade. Forty-five percent of UCI Law’s graduates are students of color. The collaborative and interdisciplinary community at UCI Law includes extraordinary students, world-renowned faculty, engaged alumni, and enthusiastic supporters. UCI Law continues to rank highly, including: The National Jurist ranks UCI Law No. 4 in the nation for practical training; U.S. News & World Report ranks UCI Law No. 21 in the nation overall out of 194 law schools, and ranks UCI Law’s robust clinical program No. 13 in the nation. We look forward to continuing our remarkable journey with our faculty, staff, students, alumni and community partners! To request reasonable accommodations for a disability, please email: events@law.uci.edu.